ATS Dolce is located in zeta-1 , a bustling enclave right in the midst of the best educational, corporate institutions and sports facilities in delhi/ NCR. A world class residential society in the region of Greater Noida which is sprawled over luxuriant piece of land amidst the beautiful surroundings of GH 01 A, Sector Zeta 1 is that of ATS Dolce. Resting in the well Planned locale of Greater Noida, amid sprawling verdant greens, at a distance of less than 10 minutes from Pari Chowk, ATS Dolce in Zeta - 1, offer 14 Acres of utopian living. With Knowledge Park and the Taj Yamuna Expressway conveniently located within a short radius, ATS Dolce is set to become one of the most elite addresses in Greater Noida. 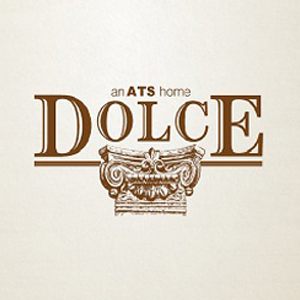 with 7 types of well-designed apartment layouts and row houses, ATS Dolce features all exclusive amenities that sets ATS properties a class apart. A state-of-the-art clubhouse with gymnasium, a swimming pool enveloped with lush land scaped greens define the beautiful vistas and distinctive living at ATS Dolce. It is a housing society which is well connected with all of the major destinations of Delhi-NCR through excellent road network of DND Flyway, Greater Noida Expressway, Noida Expressway and Yamuna Expressway. 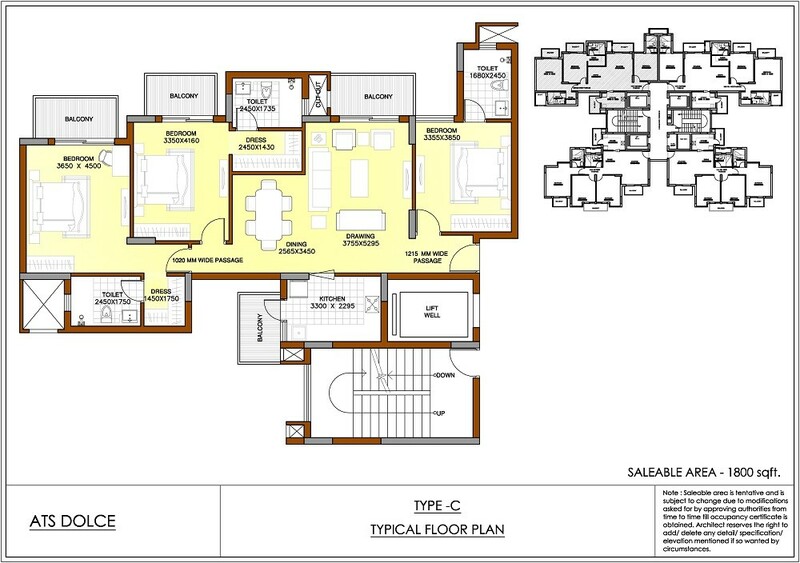 Here, you will be able to get excellently built residential spaces in the form of 3 and 4 BHK luxurious apartments in various sizes which are ranging between 1,500 = 2,800 sq ft.
ATS Dolce at Sector-Zeta 01, Greater Noida is a meticulously designed modern residential paradise for the best luxury green living. This ATS Group new project situated on the main road with a three sides open plot offers an opportunity for idealistic living. AT ATS Dolce, buyers can avail the provided 2 BHK, 3 BHK, and 4 BHK apartments with 1500 sq.ft, 1800 sq.ft, 2315 sq.ft, and 2800 sq.ft size options. A 14-acres grass-covered space among the well-planned area of Greater Noida is destined to become one of the most elite addresses in the region. ATS Dolce is an aesthetic beauty with approx 70% open space, strategic location, top-quality infrastructure, and amazing payment plans makes a perfect choice for homebuyers and investors. ATS Infrastructure new housing project offers the world-class comfy lifestyle along with wide-range amenities and facilities which makes you feel the richness. 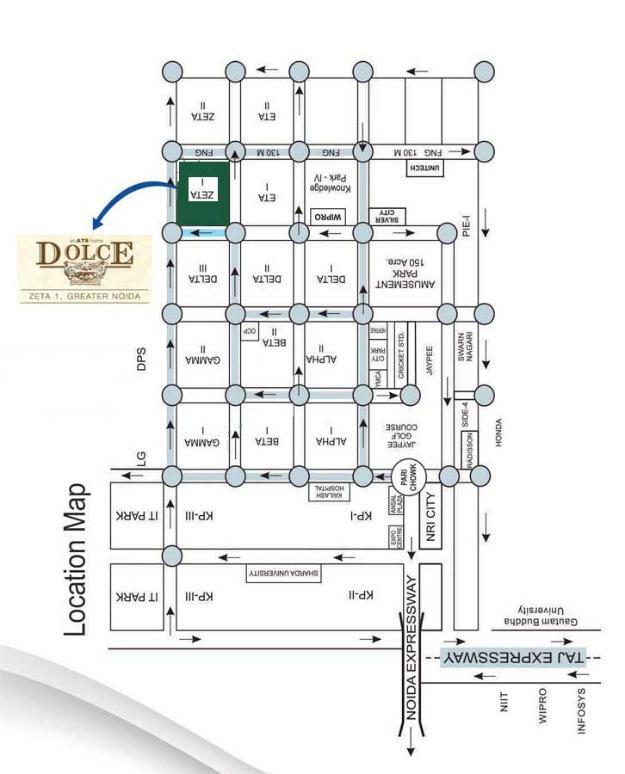 ATS Dolce consists of 13 residential and 01 commercial towers followed by 1308 apartment units, 14 villas, and shops. Strategically located in the center of vast green landscape and mesmerizing greenery ATS Dolce offering you the pure, healthy, eco-friendly environment. Every apartment displays the exceptional craftsmanship, cutting-edge designing, and spectacular interiors creating a heavenly blessed living ambiance for the residents. This entire project is a culmination of most advanced infrastructure, inventive designs, modern styles wrapped with the classical techniques creates a captivating profile for homebuyers. ATS Infrastructure Ltd earlier proved his mettle with the resounding success of ATS Greens and ATS Village projects. A well-established real estate developer with its trusted quality homes, construction expertise, and in-time delivery succeed to build an exemplary legacy in a short span of time. ATS Dolce offers its residents an array of luxury amenities such as a swimming pool, state-of-the-art clubhouse with gym, kids play zones, multipurpose room, indoor gaming facilities. It also has an outdoor gaming facility, tennis, badminton and squash courts, jogging park, shopping arcade, CCTV equipped round-the-clock security system. The ATS Dolce project location Zeta-01, Greater Noida is a thronging residential enclave nestled among the finest business hubs, educational and sports facilities in the Delhi NCR region. In the close vicinity of Yamuna Expressway and Knowledge Park, well- developed infrastructure, merely 7 km drive from Pari Chowk makes it one of the first-rate category places in Greater Noida. Being situated close to NH-P1, Noida, Greater Noida this place provides seamless connectivity to all nearby key areas. The Sector Zeta-01 is one of the fast-developing regions of Greater Noida thus maximizing future opportunities for both the investors and homebuyers. Marble/vitrified tiles flooring in living, dining & lobby. Wooden /vitrified tile flooring in bedrooms. Vitrified tiles in kitchen. Utility, servant room and toilets in ceramic tiles. Staircase & landings to be provided in marble/kota, terrazzo flooring. Balconies will be in anti-skid ceramic flooring. Ceramic tiles of required height in Toilets & 600mm height above Kitchen Counter Slab in appropriate Colour & Paint. All Kitchen Counters in pre-polished Granite/ premium marble Stone, electrical points for Kitchen Chimney & Hob. Stainless Steel sink, premium CP fittings & modular cabinets of appropriate finish. Main entrance door as engineered door with Polished Wood Veneer and Solid Wood/Timber Frame. All internal doors are flush/skin doors/polished/enamel painted, stainless steel/brass finished hardware fittings for main door & aluminium powder coated hardware fitting and locks of branded make. Door frames and window panels of seasoned hardwood/aluminium /UPVC sections. All hardware in powder coated aluminium. 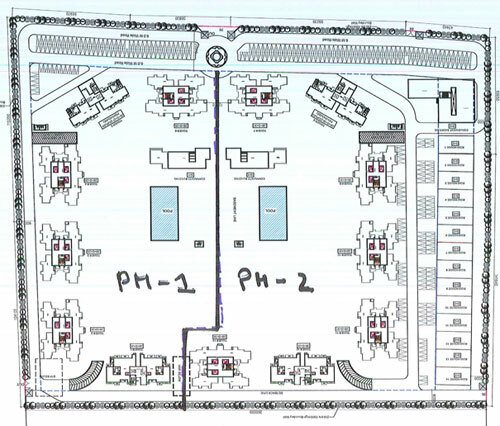 Size and section as per design of the architect. As per standard practice, all internal plumbing in GI/CPVC/Composite. All electrical wiring in concealed conduits, provision for adequate light & power points. Telephone & T.V. outlets in Drawing, Dining and all bedrooms, molded modular plastic switches & protective MCB. Clubhouse with swimming pool to be provided with his/her change rooms, well equipped gym, indoor & outdoor games areas, multi-purpose hall, utility shops and jogging track. Earthquake resistant RCC framed structure as per applicable Seismic Zone. 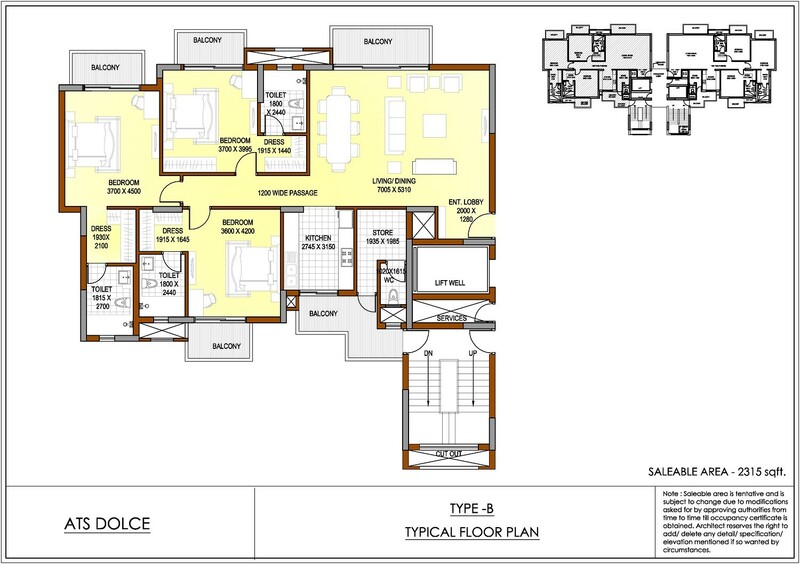 Sector Zeta 1 Greater Noida 2800 Sq.ft. 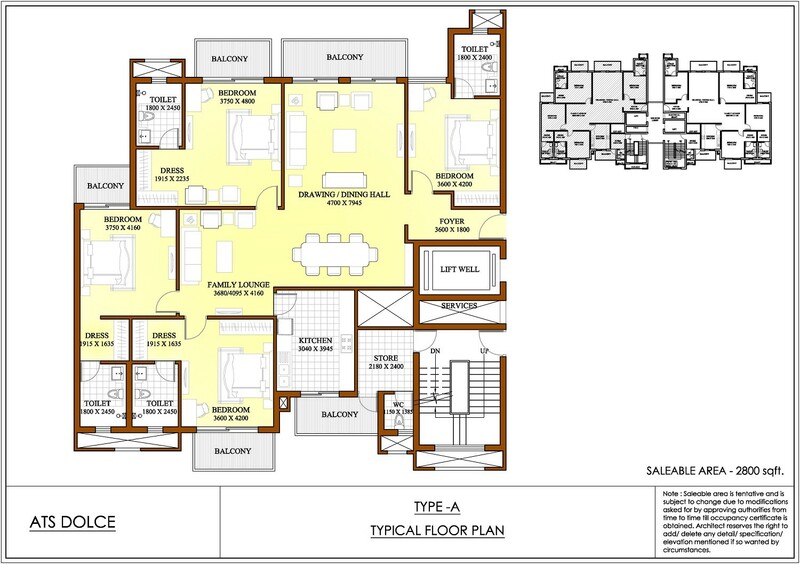 Sector Zeta 1 Greater Noida 2315 Sq.ft. Sector Zeta 1 Greater Noida 1800 Sq.ft. Sector Zeta 1 Greater Noida 1500 Sq.ft. 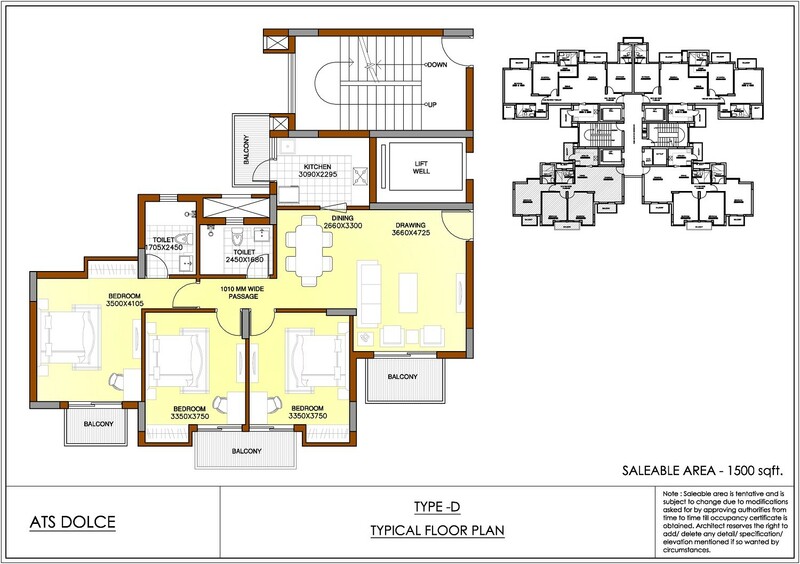 Sector Zeta 1 Greater Noida 435 - 3008 Sq.ft.